Ready or Not, 2019 is Almost Here! It might be hard to believe, but 2018 is drawing to a close. Right now your company may be preparing for a slow-down during the holiday season, ramping up for your busiest time of year, or rolling along with business as usual. In any case, it’s time to start thinking about 2019. Our revised and updated checklist will keep you on track as you look ahead to the new year. Federal minimum wage remains unchanged at $7.25 per hour, the amount set in 2009 for non-exempt employees. Many states and municipalities have higher minimum wages, and some will increase in 2019. Most increases take effect on January 1, 2019, but be sure to check with your state labor office to be sure. Your payroll provider should be aware of the changes, but to be safe (and legal) take a proactive role and ask them to double check that all of your minimum wage employees are being paid correctly. Have you reviewed your W-4 to make sure you’re withholding the correct amount? Have your employees? The IRS is reminding all taxpayers that time is running out to make adjustments. Remember that even if your income has not changed in 2018, changes to the US tax code passed last December in the Tax Cuts and Jobs Act could mean your tax situation has. Our blog goes over many of the changes and what they could mean for your tax situation. An FLSA Final Rule on Overtime in 2019? Announced in May 2016 under the Obama Administration Department of Labor (DOL), the Final Rule raised the salary threshold for exempt employees from $23,600.00 annually (or $455.00 per week) to $47,476.00 annually (or $913.00 per week). This was the first threshold adjustment since 2004. The rule never went into effect, however, and the decision about the threshold amount has been pushed back by the DOL. 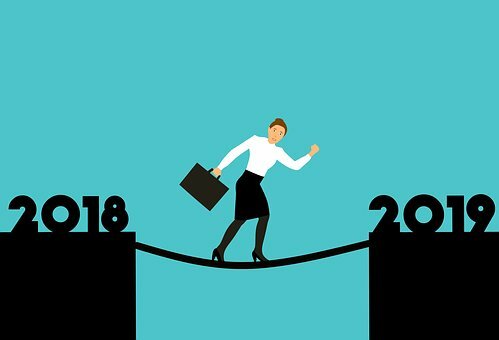 Most recently, the DOL announced that it will make a ruling in March 2019, and experts anticipate the new threshold will be somewhere between $32,000 and $35,000. We’ll keep you updated on the latest! The Equal Employment Opportunity Commission (EEOC) created rules about employee wellness programs that allowed companies to encourage employees to disclose certain types of health information. Under the Americans with Disabilities Act (ADA) and the Genetic Information Nondiscrimination Act (GINA), this information is private, but employees may voluntarily share it if they so choose. Under the EEOC rules, some employers imposed higher insurance premiums on employees who declined to share certain health information. In 2016 the American Association for Retired People (AARP) challenged the rules, noting that increased premiums amounted to employee coercion and violated the voluntary standard set by the ADA and GINA. A court agreed and ordered the EEOC to vacate the rule. It will be vacated as of January 1, 2019. Employers offering wellness programs should check that they are in compliance and watch for revised final rules from the EEOC coming soon. Be sure you’re ready for the year ahead in terms of benefits, payroll, compliance, and all things HR with our handy year-end checklist. It’s packed with helpful task reminders and updated with the latest labor law changes – download your copy today!